Are you a homeowner living in London? Would you like to greatly improve your home without any major renovation work? If so, a composite door could be the perfect choice for you. The entrance door to your property is used every day. It protects your home and also welcomes visitors. It should be safe and secure, smooth functioning, and aesthetically attractive. Fortunately, with a composite door from Keepout, you get all these qualities and much more. Here are 13 reasons why a composite door is a great choice for your London home. Tested to PAS 24 security standards; you won’t find a more secure entrance door. A Glass Reinforced Plastic (GRP) outer layer protects your home from the elements and also looks great. The combination of materials which make up our composite doors provide excellent levels of thermal efficiency with an ‘A’ Window Energy Rating (WER). Whatever your preference, there’s sure to be the perfect colour to suit your home. From Golden Oak to Aubergine, the choice is yours. If you live in a modern home, choose a contemporary solid finish. For more traditional properties, we have a range of realistic woodgrain finishes. Personalise your composite door with your own configuration of glazed panels and door furniture. From decorative and patterned obscure glazing for added privacy to toughened and safety glass for a child friendly, burglar resistant door. All out glazing is energy efficient and will improve the look of your home. With only the occasional wipe down, your composite door will stay looking as new as the day it was installed. The high-tech construction of our composite doors mean that they will repel even the harshest weather conditions. City living can be noisy. 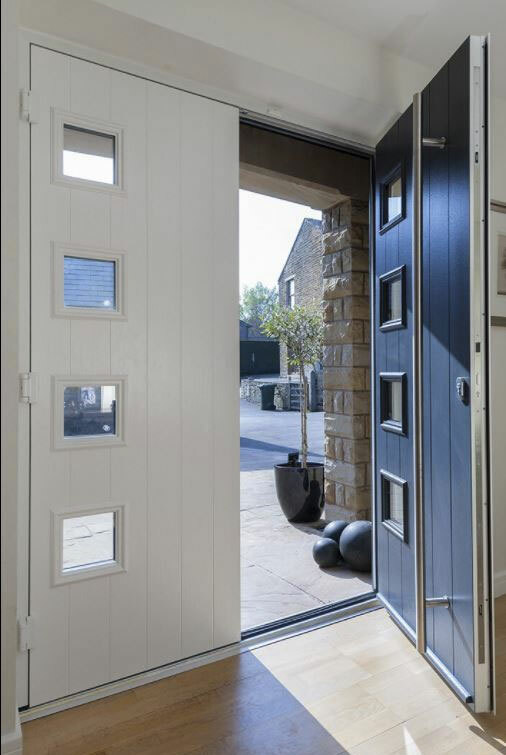 Composite doors can significantly reduce outside noise, creating a more tranquil living area. At Keepout, we provide a 10 year warranty on all our products, giving our customers peace of mind that their investment is a safe one. Our experienced team of installers are all FENSA registered, so every installation is a successful one. To ensure consistent quality, we manufacture all our products in-house. For more information call 020 3322 8700 or contact us online.